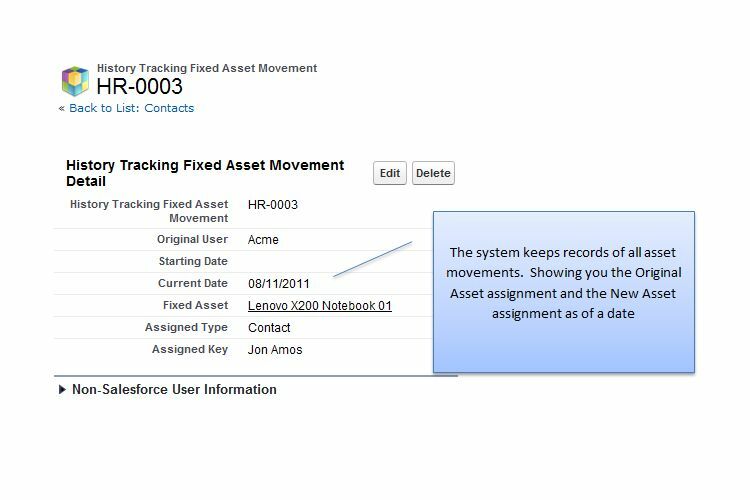 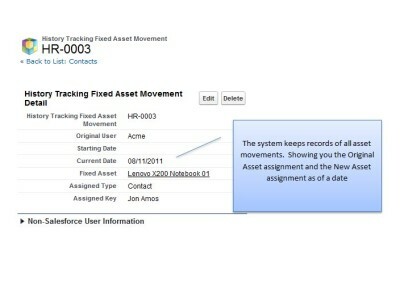 Our Fixed Asset Tracker is a Fixed Asset accounting and tracking application for Salesforce.com™ customers. 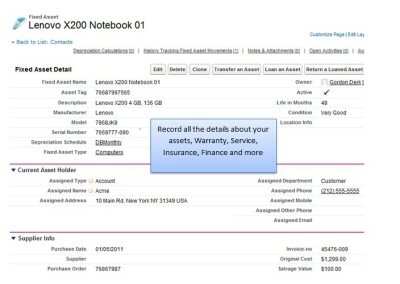 You just add-on our package and start tracking your assets. 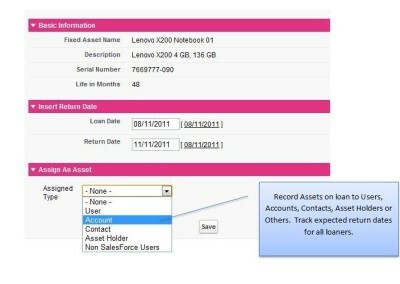 Track Warranty expiry, Service contracts, Insurance policies and much more. 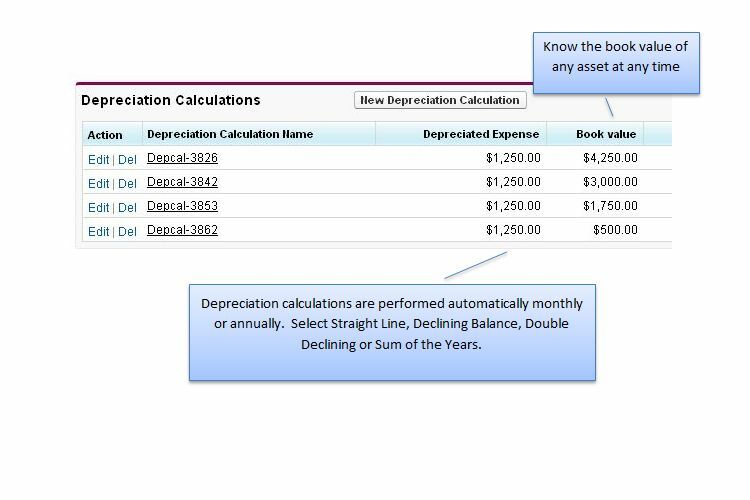 Fixed Asset Tracker generates depreciaiton journals either monthly or annually. 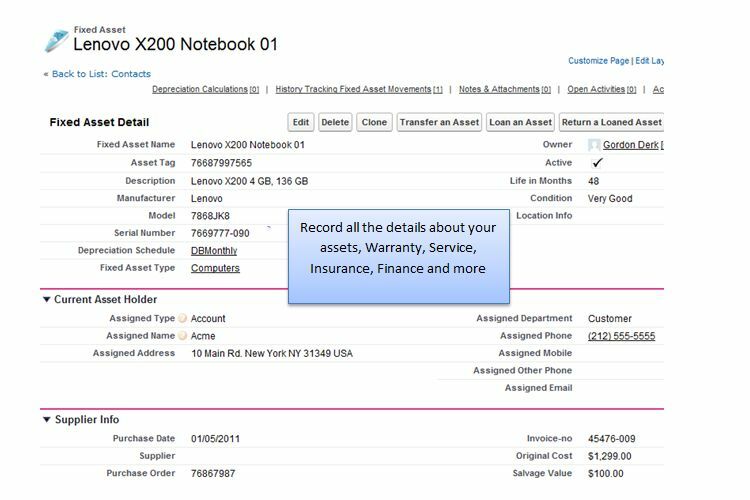 We can post those journals to FinancialForce and Quickbooks, or you can export them into a spreadsheet to load into other accounting systems. 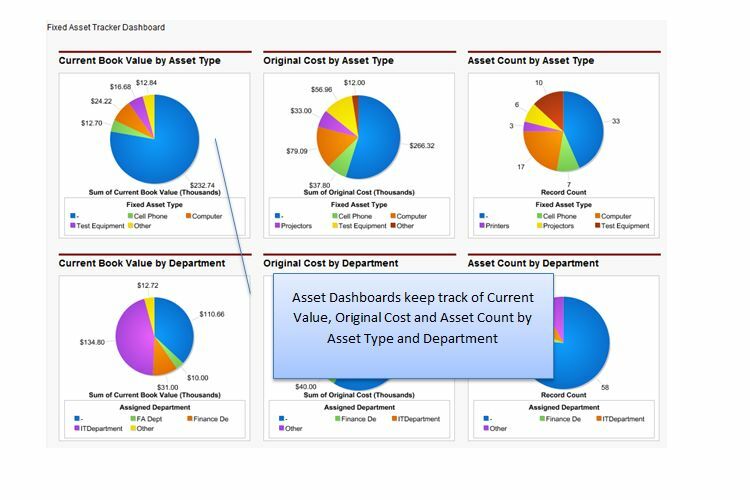 We have a complete Asset Dashboard that shows you the total value of your assets, by asset type or department. 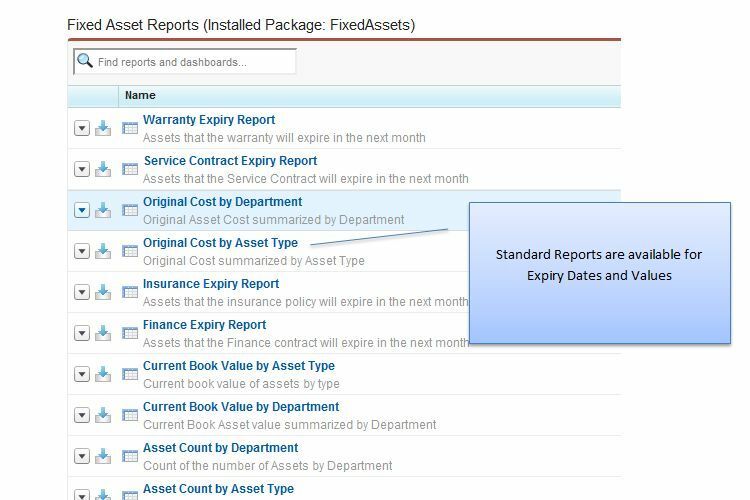 To really manage your fixed assets the problem is much bigger than just depreciation records it’s about tracking everything about your assets; loans, transfers, warranty expiry, finance contracts, insurance policies and more. 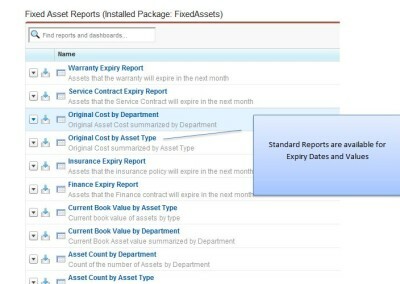 We supply reports that you can use to track asset life-cycle events. 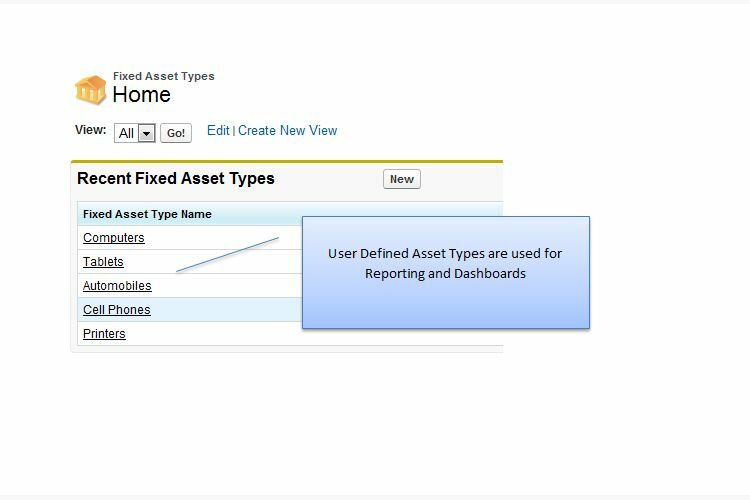 But as with all salesforce.com products you can write your own reports. 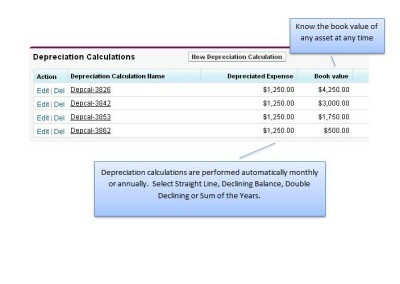 Pay for what you use. 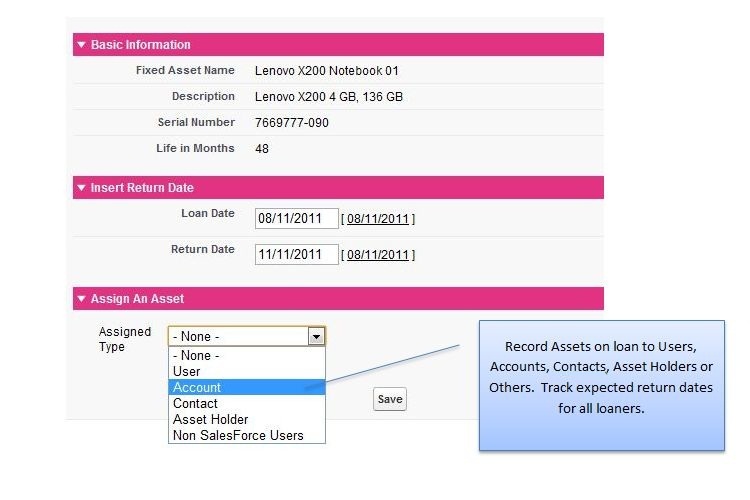 You will be billed based on the number of assets tracked by the system. 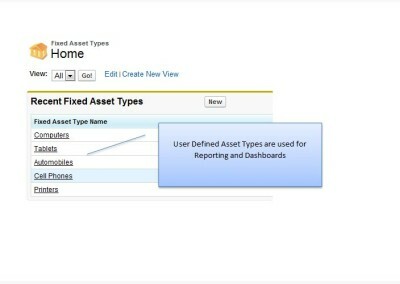 Our pricing starts at $50.00 per month for up to 199 assets. 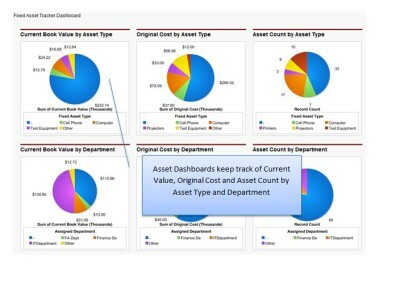 Load this app into your environment and start tracking your fixed assets today.